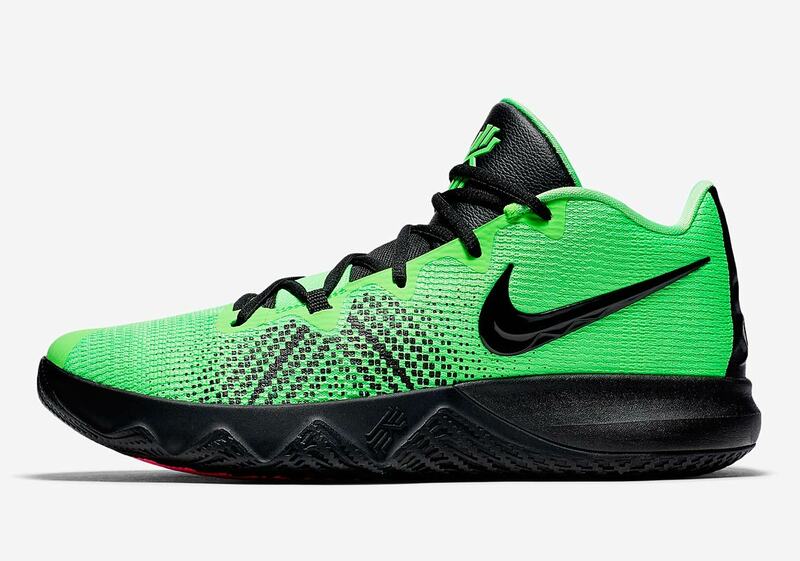 Although the NBA’s Christmas Day slate of games provides memorable moments each and every year, few would disagree that Kobe Bryant unveiling an acid-green “Grinch” Nike Kobe 6 back in 2010 ranks in the top tier. 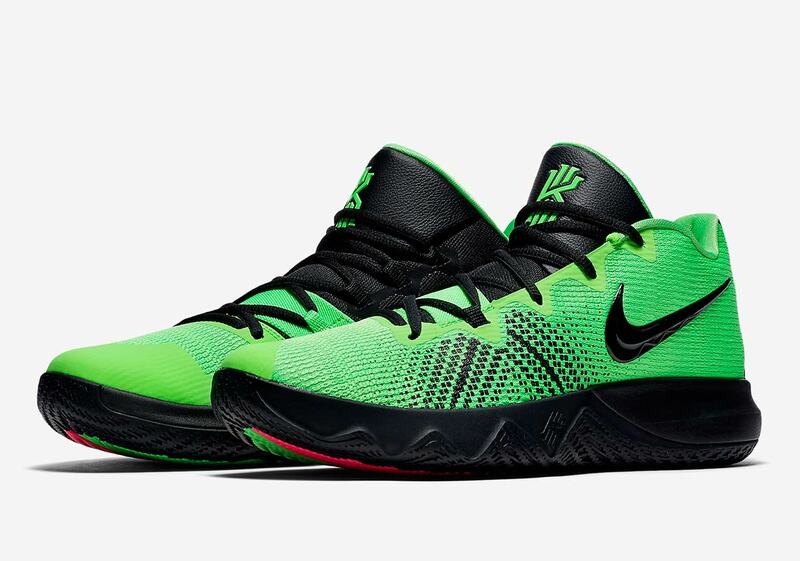 Although Bryant retired from the NBA back in 2016, “Grinch” isn’t going anywhere, as Kyrie Irving and his Nike Kyrie Flytrap are willing to carry the torch. 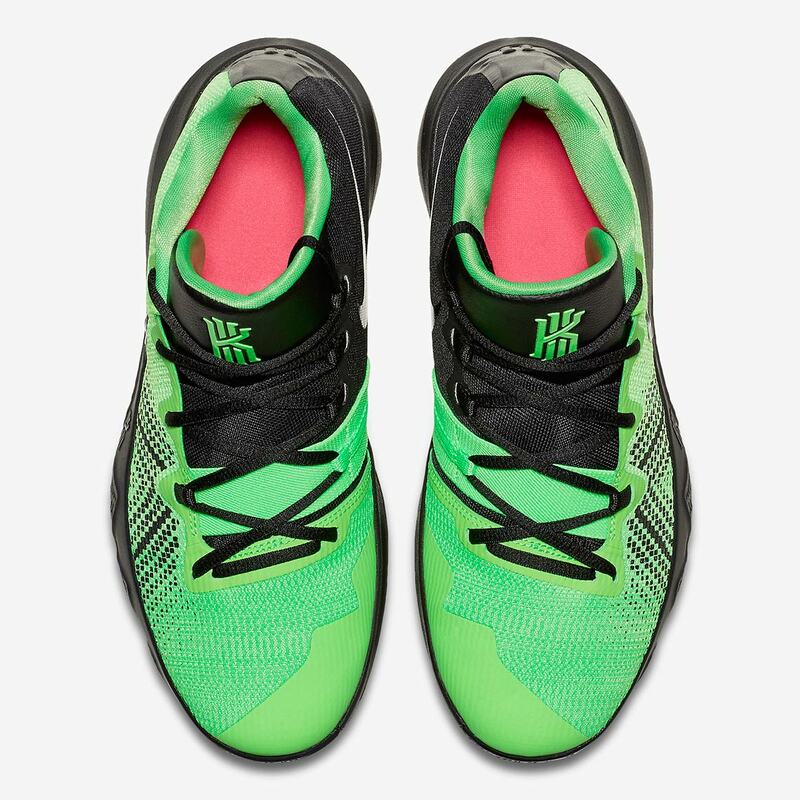 This new colorway of Irving’s budget-conscious team model features a seasonally appropriate bold “Rage Green” upper with black accents arriving via the tongue, lateral side Swoosh, and medial heel collar. 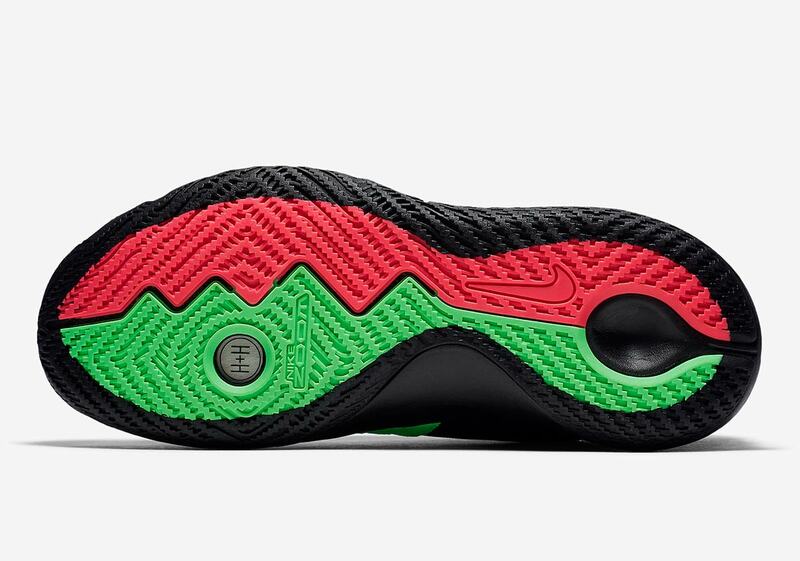 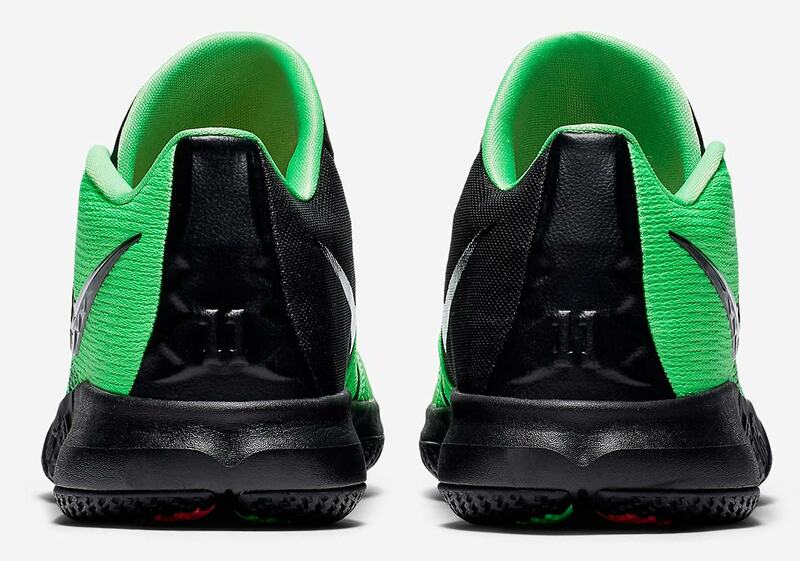 The upper’s green is used yet again on the tongue logos, and the shoe is then completed by a simple black midsole and outsole that features further green/red detailing. 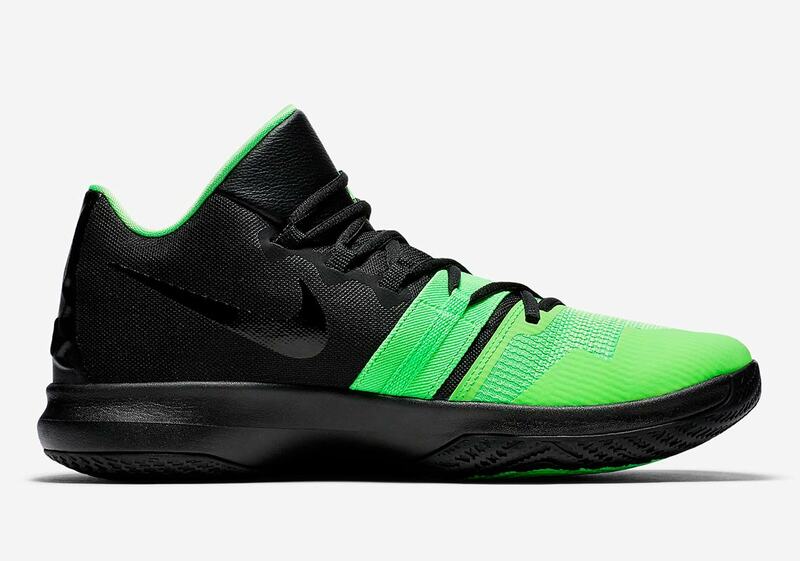 You can look for this new Flytrap now on eBay and at international sites like Nike China for an extremely reasonable $80 USD price point.